Our Mentors are undergraduate students from a variety of backgrounds, study areas and year levels. 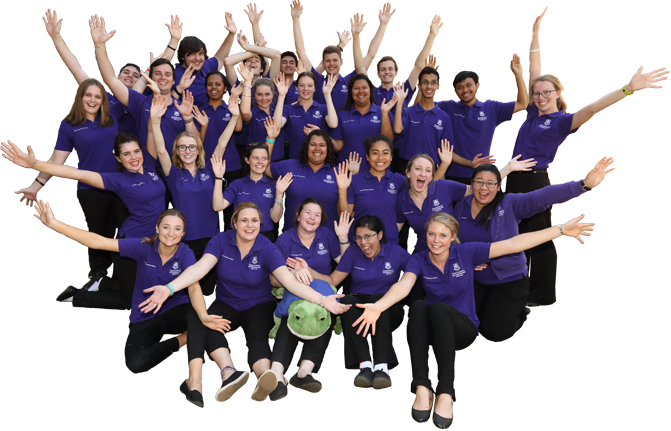 What brings them together is a passion for helping others, making a difference, and a dedication to enhancing the Young Achievers and Young Scholars Programs at UQ. Are you interested in sharing your experiences about making the transition to university? Do you want to assist secondary school students from diverse backgrounds achieve their future goals? Do you want to develop your leadership communication and interpersonal skills and enhance your employability? Do you want to build your University-wide networks? Do you want to receive recognition from UQ for your commitment to these outstanding programs? Do you want to use your program participation to contribute to the UQ Employability Award?